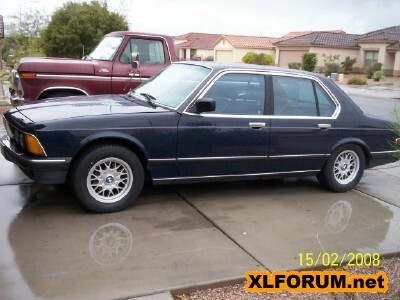 BMW Turbo Discussion - BMW 745i and BMW Turbo Project Forums - New Topic Forum!!! The idea here is that you create a topic for each of your cars. Post a description of your ride and photos for everyone to see. Also, keep a detailed journal of your troubles and repairs you've made. You can come back to your original post again and again to edit or add to what you've entered before. This will enable you to keep a record of your experiences with your car. I think we will all enjoy hearing about each other's experiences. Post soon! We can't wait to see and hear about your BMW Turbo, or other cool vehicle!! Hey Christian. Welcomed. Well that's what this board is all about...taking care of the turbo cars. I'm sure that as you read through the topics posted here that you will find lots of info that will help you. Any questions, just ask! replacing air/fuel ratio meter by Auto Meter. I will be installing a PLX M250 digital A/F meter. I will also install a new VDO 100PSI oil pressure gauge to use for fuel presuure. I bought a 100PSI sender to go with the gauge in the cluster. I found that I took for granted the gauge in the cluster was a 100 lb gauge, it was 150PSI, so the oil press. gauge goes in it's place. I still have mine Vern! anybody looking to buy for a gray market 745 Turbo?? Good idea Scottie. I will attempt to post; pictures are a problem. car is not that good looking and camera keeps breaking.